At Just You Fitness you can trust you’re working with the best, as all of our trainers are experienced and certified from accredited organizations. Like no other workout experience, you will have the entire studio to yourself in our private, state-of-the art facility; just you and the trainer. No contending with for machines, no one staring, no distractions. Your sessions are tailored specifically for your personal goals. 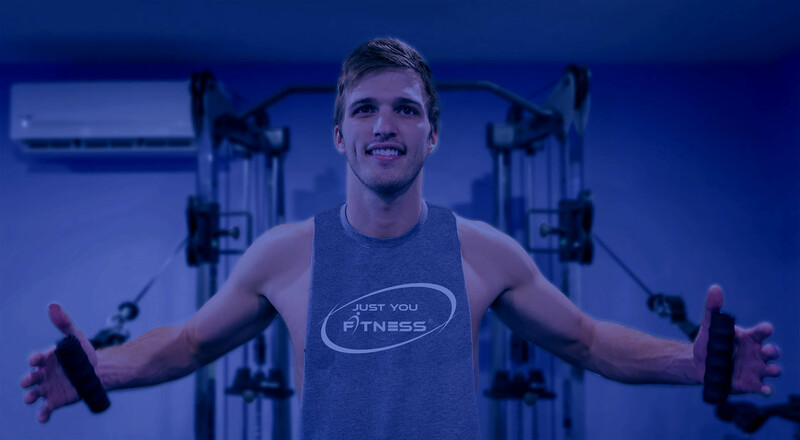 Whether it’s to lose weight, gain mass, or anything in between, Just You Fitness has you covered. Our professional fitness trainers design training programs and nutritional guidelines that are tailored to your exact needs. Our trainers can work around any particular injury or health concern you may have. Staying consistent is the key to reaching your goals. We will hold you accountable both inside and outside of our training sessions. Tracking your progress shows us both where you were and where you’re going. We weigh our clients, do body circumference measurements and body fat testing regularly to make sure you’re headed in the right direction. This is simply the best option if you are looking for a customized exercise program specifically designed for you. We have a proven track record that delivers results. We will be there for you throughout your entire transformation journey. You will be amazed by the results you will get working one-on-one with one of our professional trainers. For people who thrive off of working out with another person. Offers a more cost effective solution for both you and your workout partner. Sport specific training is a more refined approach to resistance training based on the physiological needs of a particular sport. Sport specific training is much more complex than just lifting weights to exhaustion. Each sport requires specific resistance training in order to maximize the athlete’s genetic potential. Proper nutrition is critical to reaching your goals. Our trainers will guide you in building an optimized diet specifically for what you want to achieve. We'll empower you with the knowledge you need to live a healthy lifestyle inside and outside of the gym.